I shall be taking part in Made in Peterborough, an event promoting local writers. It’s on February 7th in the Central Library, and I’ll be there for the morning session, 10-12 a.m. I’ll have some books to sell, and will answer questions about my work and writing. If anyone’s in town that Saturday morning, please pop in for a chat! So I set my collection of SF & fantasy stories, The Dragon, Fly, to be free on Digital Book Day, July 14th. I gave away 260 copies, and had over 200 visitors to this blog, which was nice. My book got into the Top 10 Free SF Anthologies list, so it hopefully got some useful exposure. I got lots of new readers, who may like my stuff and want more. I might even get an Amazon review out of it. I’ve sold a few books since. When I first put my books on Kindle, a free book promotion would push you up the rankings and keep you there for a while. Now they’ve altered the algorithms and a book quickly crashes back down into obscurity after its brief moment in the sun. I’m not sure that giveaways are much help anymore. The book has now turned up on at least one pirate site. I think the results of Digital Book Day were generally positive and I’ll probably take part again next year. To celebrate the first Digital Book Day I am making my collection of SF & fantasy stories, The Dragon, Fly, and other flights of fancy FREE on July 14th! It contains such delights as assassin nuns, a woman who can walk through the holes in reality, a super-intelligent cat called Ishtar, and two excerpts from future Anna & Zenni novels. Get it here at Amazon US or at Amazon UK. As Amazon works on Pacific time, I’ve made it free on both the 13th and 14th to cover other time zones. One of my oldest friends, Bev Allen, is also an SF & Fantasy author. We used to write at school – how we ever learnt anything with our heads away in our own little make-believe worlds I’ll never know! 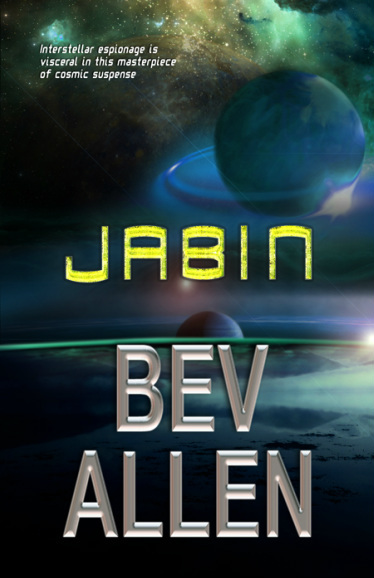 Bev’s first book, Jabin, has been out for a while, but her publisher folded at the end of May, casting all of their authors adrift. Thankfully, Jabin has been picked up by Thorstruck Press and has been released in a new edition. Edited to add: Thorstruck Press has also collapsed. Jabin is now available from Wild Wolf Publishing – Amazon link here. Here’s a link to Bev’s blog with a description of the book. It’s a wonderful tale, with pirates and soldiers, and a very likeable young hero. Three… two… one… we have lift-off! 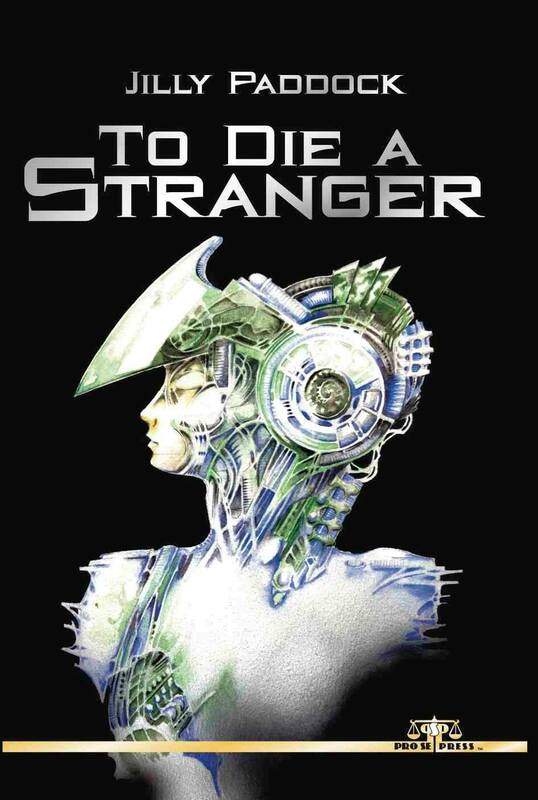 To Die A Stranger is now officially out – here’s its page on the Pro Se website. It’s available in paperback and Kindle editions on Amazon, US and UK, and from other outlets including Smashwords. I ordered two copies from Amazon UK and got them within a couple of days. In my opinion (and I admit that I’m very biased!) it’s a good-looking book, with a lovely cover and nice formatting on the inside. Pro Se have done a great job. Here’s a link to the trailer for Blood Type: An Anthology of Vampire SF from Nightscape Press. I think it’s pretty cool and it’s great to be included on such a wonderful list of writers. I’ve been reading some of the stories, and the quality is very high. I enjoyed ‘The Undying’, William F Nolan’s contribution, which has the longest run-on sentence I’ve ever seen in print – and as a slap in the eye for all those creative writing gurus who’d like to outlaw such things, the effect is beautiful and poetic. I really liked Amelia Mangan’s ‘The Souls of Stars’ too, but I’m only seven stories in, so I haven’t picked a favourite yet. The anthology will benefit The Cystic Fibrosis Trust, so if you’re looking for something to put on your shiny new Kindle (or other e-reading device) this Xmas, please consider it. A print edition is due in January 2014. My author bio has appeared on the Pro Se website, so I’m officially a writer of New Pulp. Dave wrote most of it – I find it very hard to write about myself in the third person and I hadn’t given them enough info. It has my ‘professional author’ photo, which was taken a while ago. Sweet Goddess, did I really have such black hair? It isn’t that dark now, it’s faded to the shade known as pepper and salt, and I have a few wrinkles. I’m vain enough to want to stick with that photo for the moment! 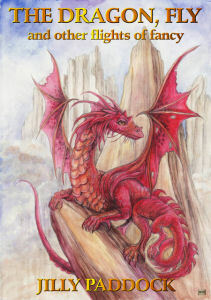 In other news, just got another 5 star review on Amazon for The Dragon, Fly, my SF/fantasy/horror short story collection. Thank you, lovely reader, for being so kind. This is what keeps us writers going, helping us to push through blocks in inspiration, plots that won’t untangle and characters who refuse to be wrangled in the right direction. Knowing that my tales have pleased someone is a much welcome reward. This extra sized issue Is Jam Packed with The Most Pulp Goodness One Magazine Can Handle. Thrill to Issue 19’s Feature story as the skull faced horrific avenger, BROTHER BONES, returns in another tale from Ron Fortier. Kevin Rodgers delivers science fiction horror in SLAUGHTERSHIP while A. M. Paulson’s popular Dog Detective returns for a new tale of the Flatfoot with a tail. Robert Kingett shares a provoking, well crafted essay on one of literature’s most popular characters and Jilly Paddock imparts her sci fi wisdom by sharing THE THIRD WORST THING THAT CAN HAPPEN ON MARS. Aaron Smith’s popular Hockey Star turned Cop, Picard returns and joins Ralph L. Angelo, Jr.s’ Torahg the Warrior in his magazine debut. Ron Capshaw’s hero Alan Bolt opens this issue and is followed by the debut of Doll Face, a disturbing, intriguing character from the mind of Charis Taylor. PRO SE PRESENTS #19 is a breakneck, nonstop cyclone of Horror, Sci-Fi, Hero, Mystery, and just plain Pulp! Featuring a great Brother Bones cover by Rob Davis as well as stunning design by Sean Ali and Ebook formatting by Russ Anderson, PRO SE PRESENTS #19 makes Quarterly look GREAT! From Pro Se Productions. Pick up PRO SE PRESENTS #19 in print for $9.00 on Amazon at http://tinyurl.com/mwvoaur. Shop Pro Se’s store at http://tinyurl.com/ksyo9q4. Get the issue from Barnes & Noble at http://tinyurl.com/kx2ud96. Also available in Ebook Format for $2.99 via Kindle at http://tinyurl.com/l4q6coj, for the Nook at http://tinyurl.com/kodsrdj, and for multiple formats at http://www.smashwords.com/books/view/338963. Some of my books have been accepted by Pro Se Press, an independent publisher of Pulp fiction. They will be bringing out a new e-book and a print version of “To Die A Stranger” later this year. I don’t have a firm date yet, but I’ll post the info as I get it on this blog. The plan is to follow that with further titles in the Anna & Zenni series. I’ll be taking the self-published version down from Amazon Kindle tomorrow, March 31st. If you’ve bought it, don’t worry – it won’t vanish from your Kindle, but if you delete it from there, it won’t be in your list of books on Amazon. You can save it to your computer to keep – it doesn’t have DRM copy protection. Pro Se Press will also be publishing a new Afton & Jerome novella. Again, I’m not sure of the date. I haven’t finished writing it yet, so it’ll be a few months. They’ve also accepted two of my short stories for their magazine, Pro Se Presents, which also appears as an e-book and in print. The first one, “The Third Worst Thing That Can Happen On Mars” should be in the next issue, coming in June. “No Earthly Shore” and “The Dragon, Fly” will still be available on Amazon Kindle. I’m very excited about this. Pro Se Press are a forward-looking and exciting publisher, and have recently won awards for their books. They’re also very nice people to work with and I hope my books do well for them. Today (October 2nd) is the last day that all four of my books are free on Kindle. I won’t be repeating the free offer for a while, as I’ve used up all my free days. Both of the novellas have been downloaded a lot, and the novel also. I’m pleased about that and hope it might gain me a few much-needed reviews. The short story collection is less popular, which I expected as short fiction doesn’t do as well. The novel, To Die A Stranger, is Number 1 in Free Spy Fiction today, which is great. I tagged it as a spy novel as well as SF to see if that would increase sales, and it seems to be working. P.S. I didn’t write the previous blog post. It was done by my Other Half, Dave, who struggled with the horrendously slow Wi-fi at the Fantasycon hotel on the first day of the free promotion. He’s been tirelessly posting to listing websites and Facebook groups to promote the books.